Tokyoflash has announced their latest geeky watch, the Tokyoflash Kisai Katana, this is a change from their normal watches as this model is analog watch with a single hand. It is also available with the optional Kisai Link, which basically turns the device into a smartwatch and gives you alerts for emails, calls and texts. Minimal in design, Kisai Katana Link is an analog watch with classic style. The time is shown with just one hand designed in the shape of a Japanese katana sword, a unique feature that will impress anyone who asks you for the time! Kisai Katana Link features Kisai Link seamlessly integrated into the strap so you can receive call, email, SMS and social alerts direct to your wrist. 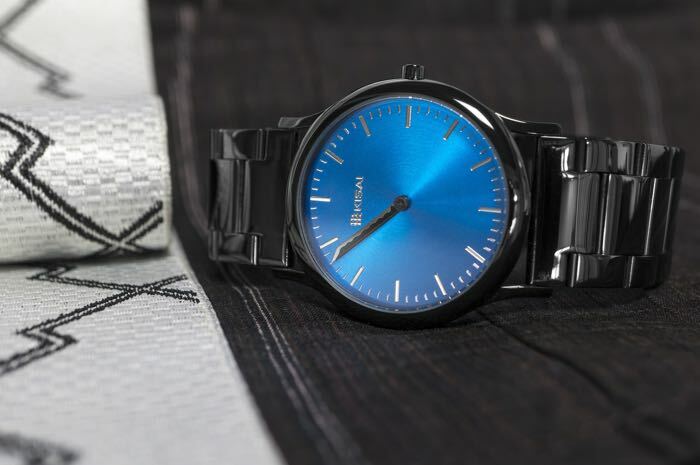 You can find out more details about the new Tokyoflash Kisai Katana watch at the link below, prices start at $99 for the watch and $109 with the Kisai Link included.